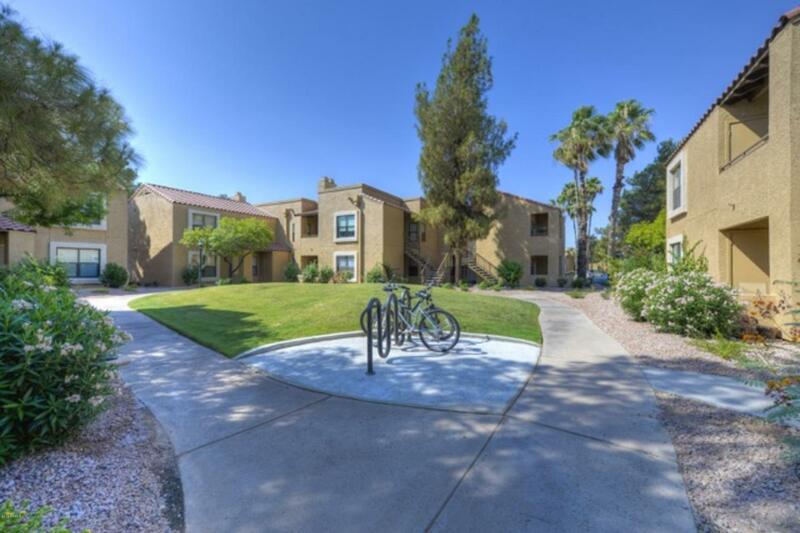 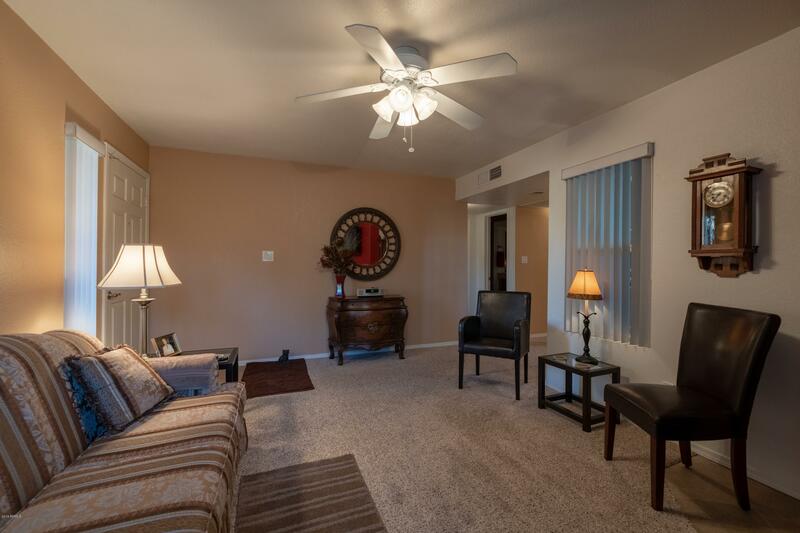 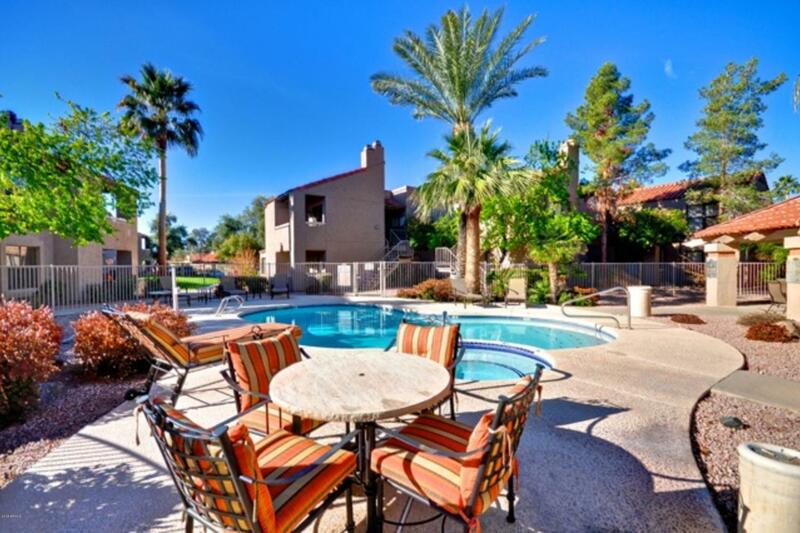 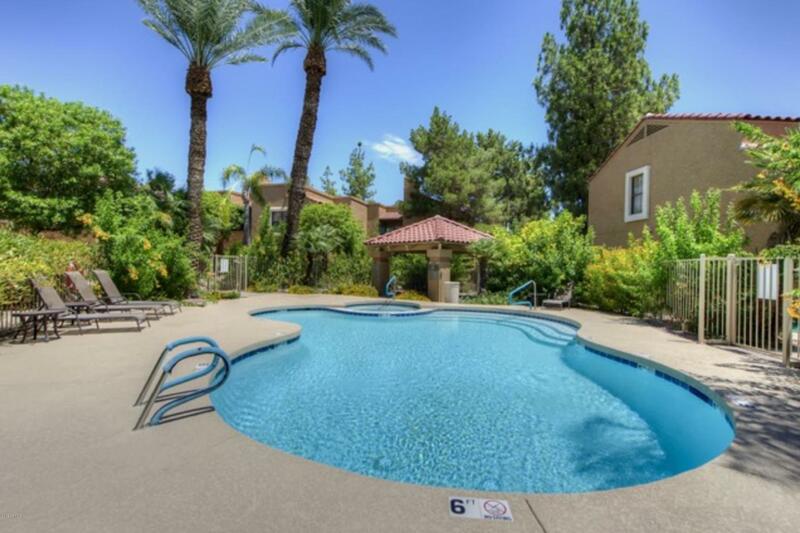 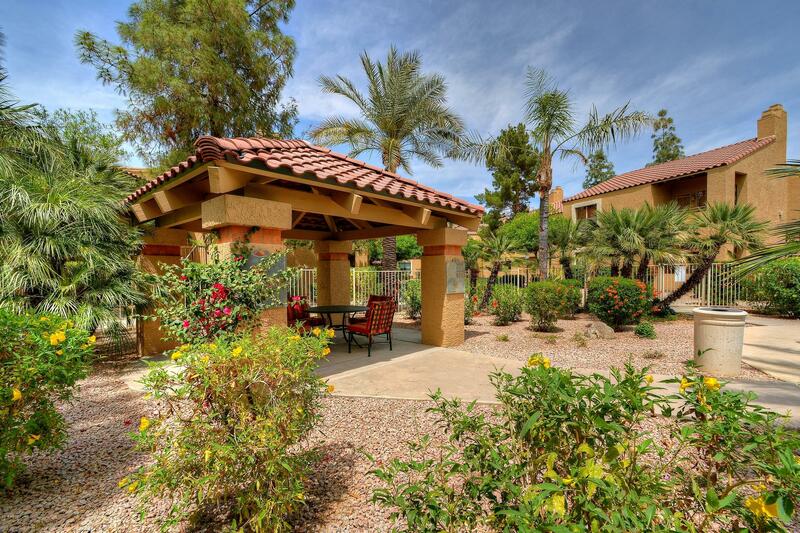 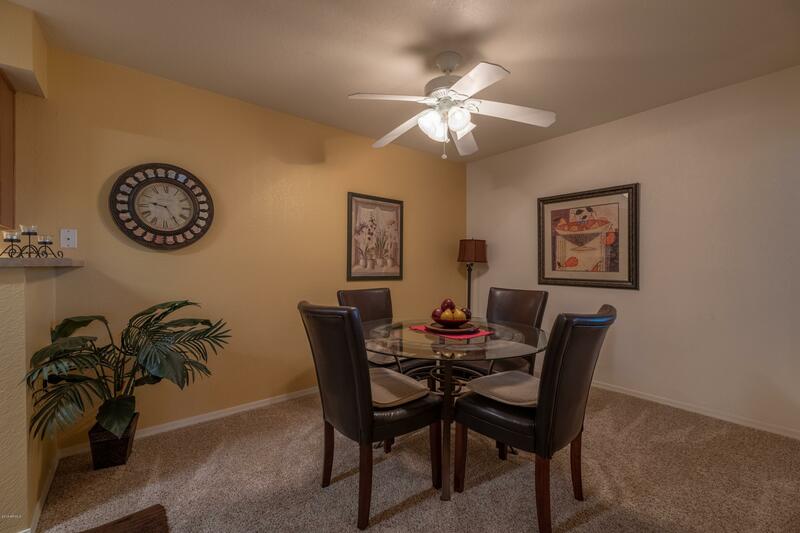 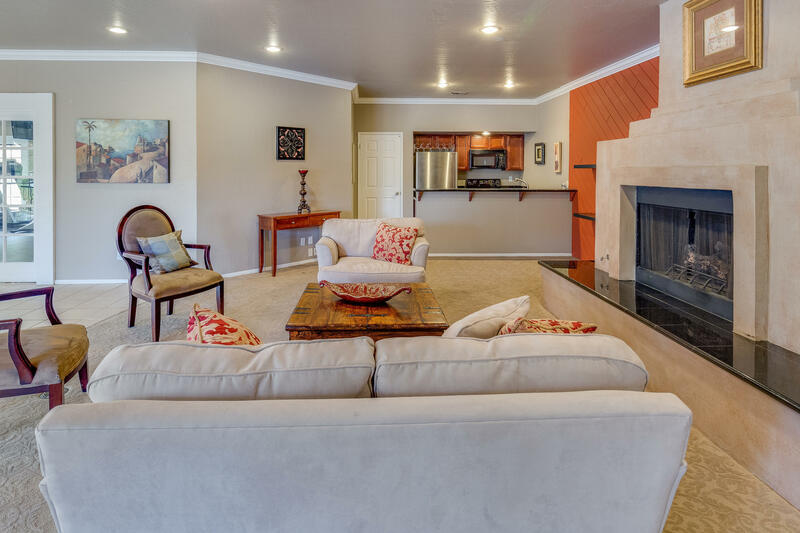 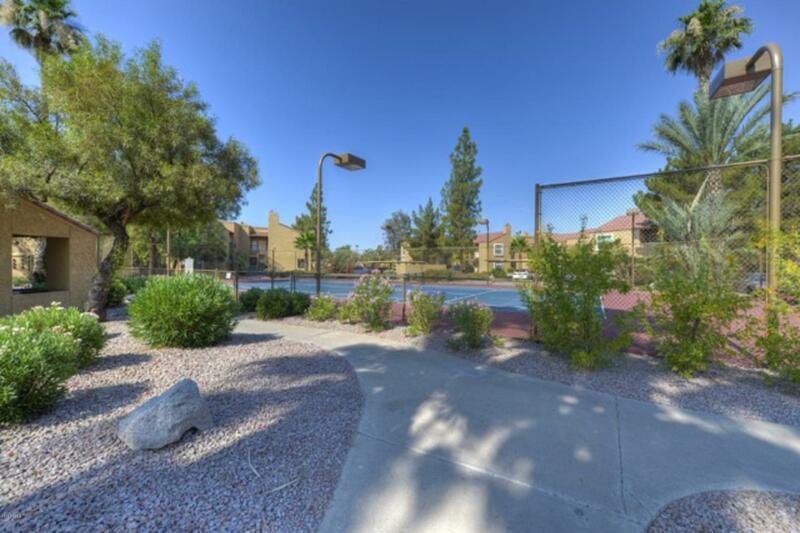 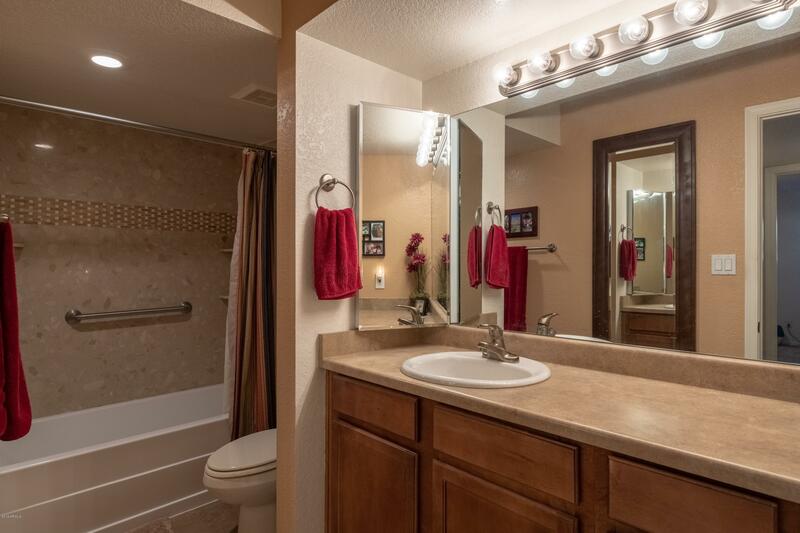 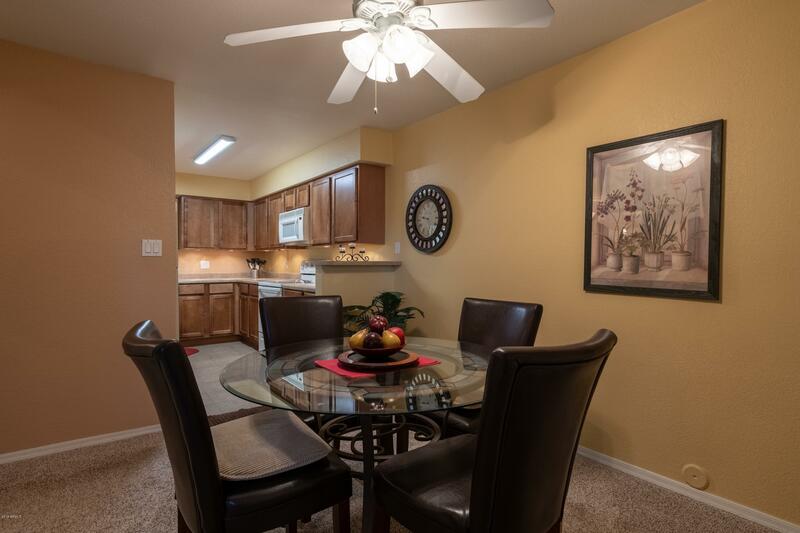 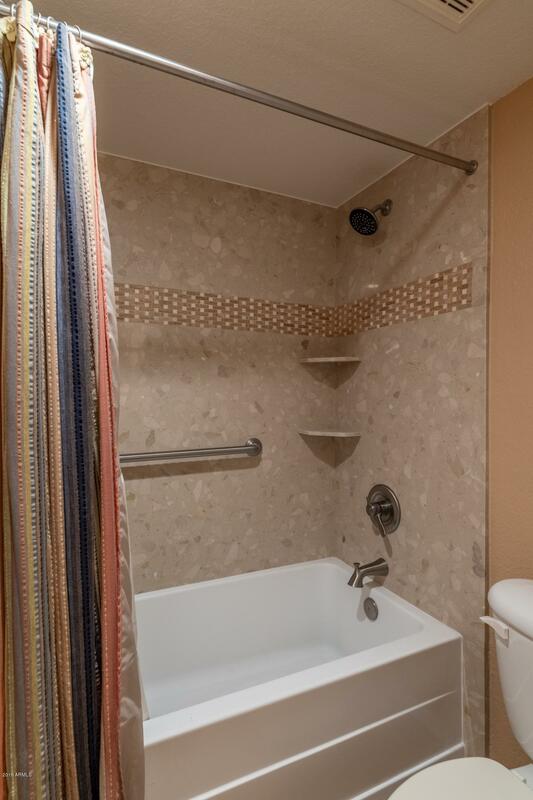 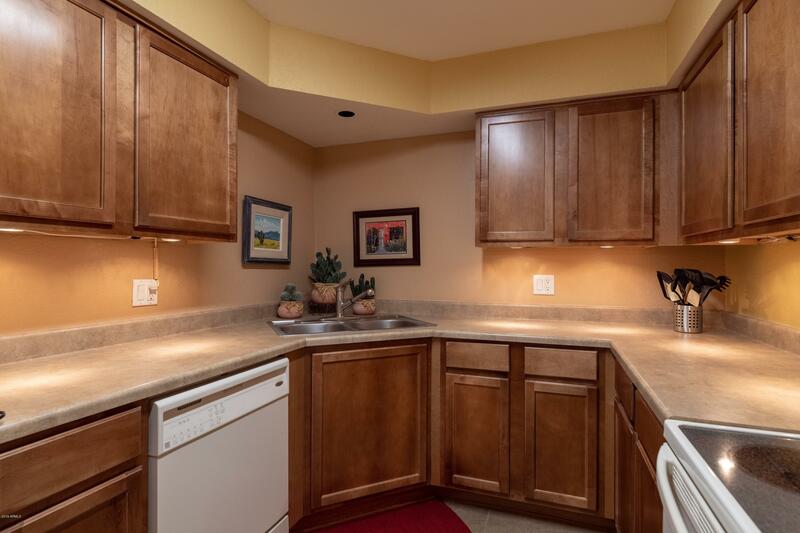 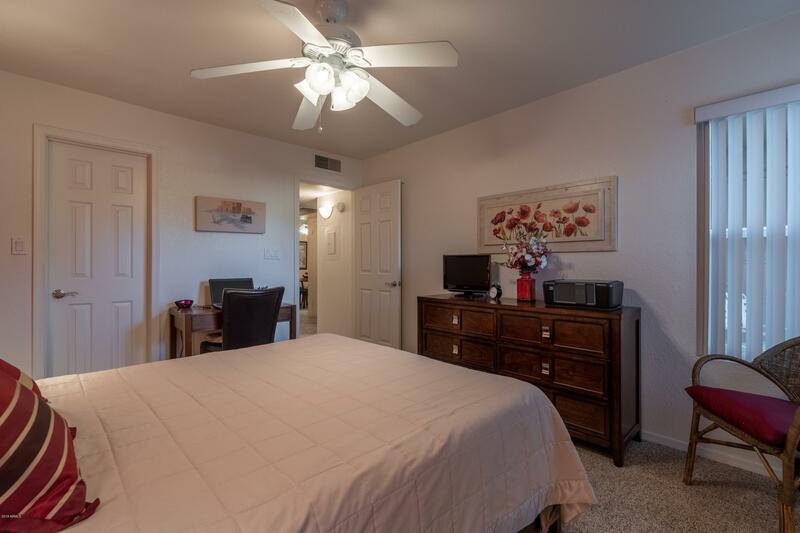 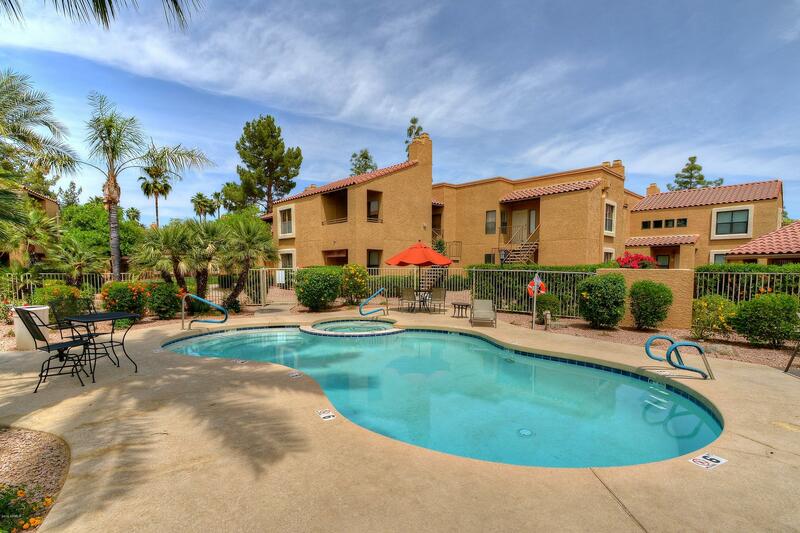 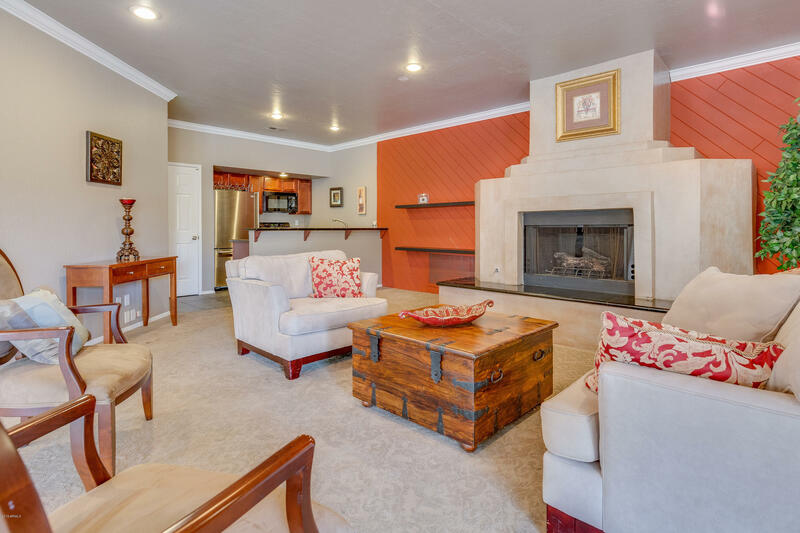 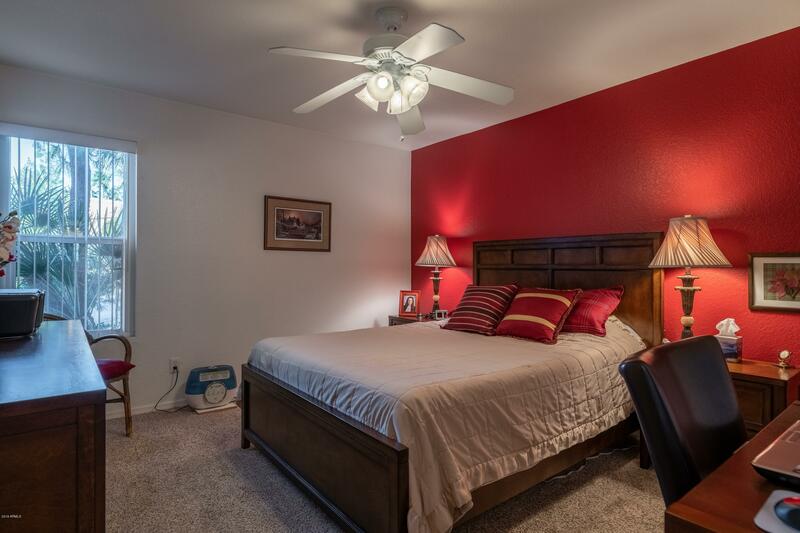 Lovely, clean as a whistle, ground floor condo in the heart of Scottsdale McCormick Ranch. 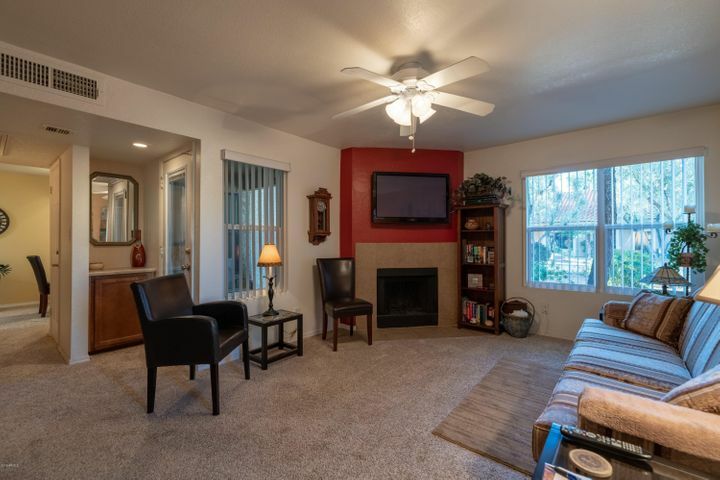 Nice sized bedroom with a walk-in closet, full bathroom that's been updated with a new tub & stone surround, living room with a beautiful wood burning fireplace, dining room off the kitchen that's been updated with under cabinet lighting. 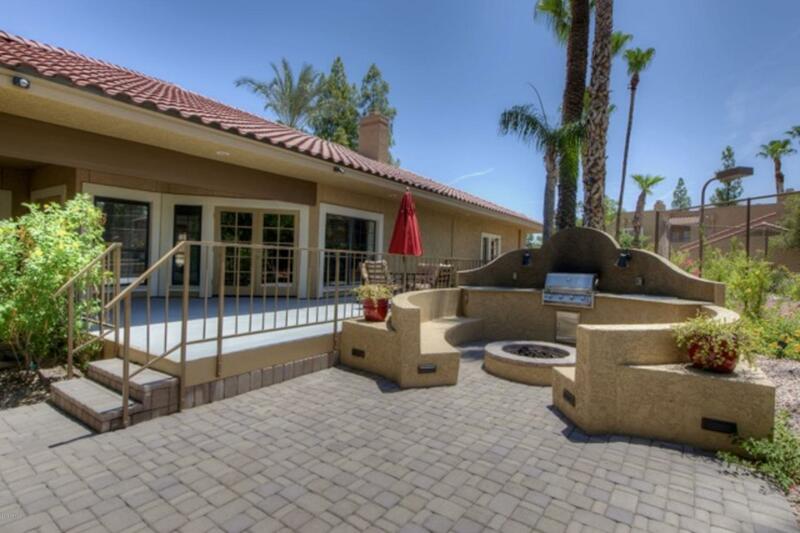 The private patio is perfect for morning coffee & evening happy hour. 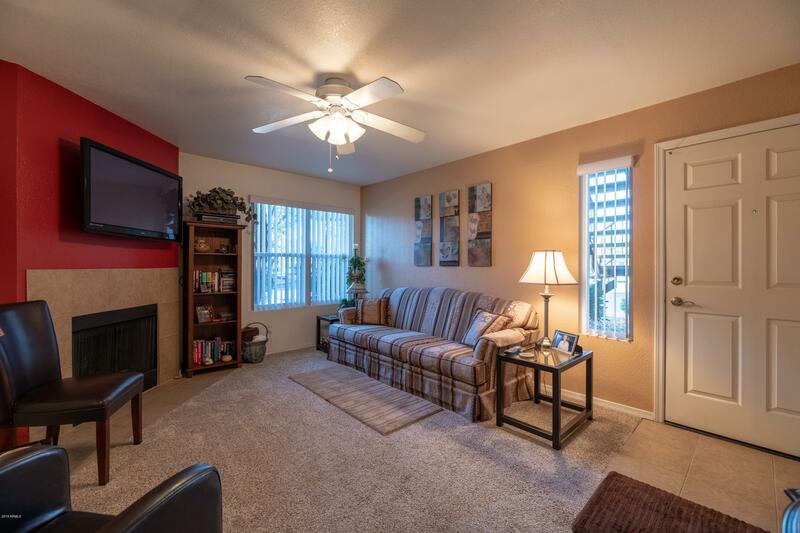 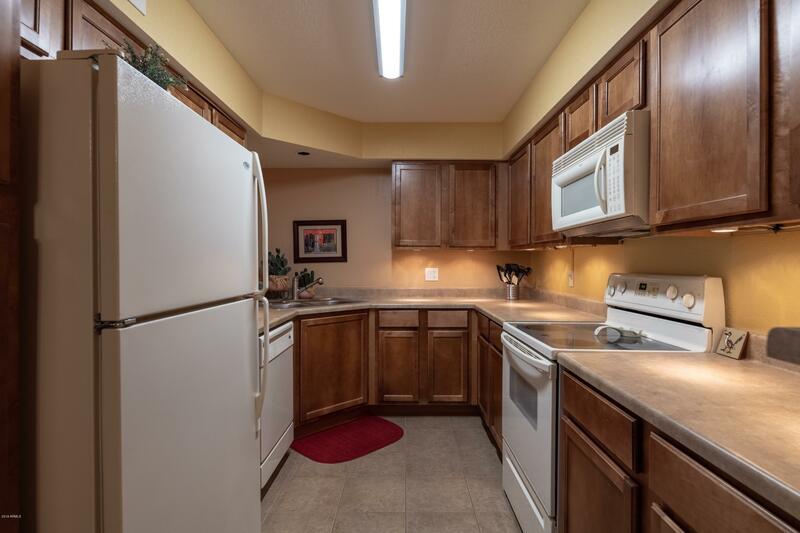 This condo has been updated with new dual pane energy efficient windows throughout. 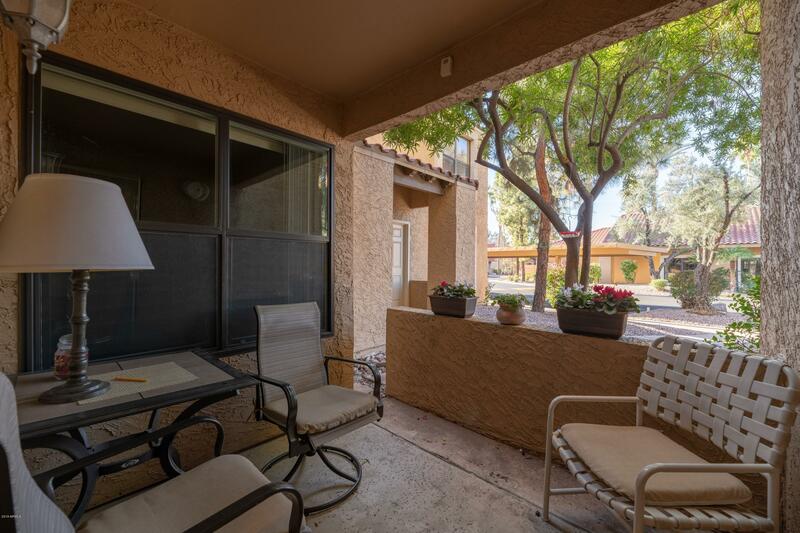 Both doors (front door & patio door) have new security doors that allow you to open the main door and feel the fresh breeze. 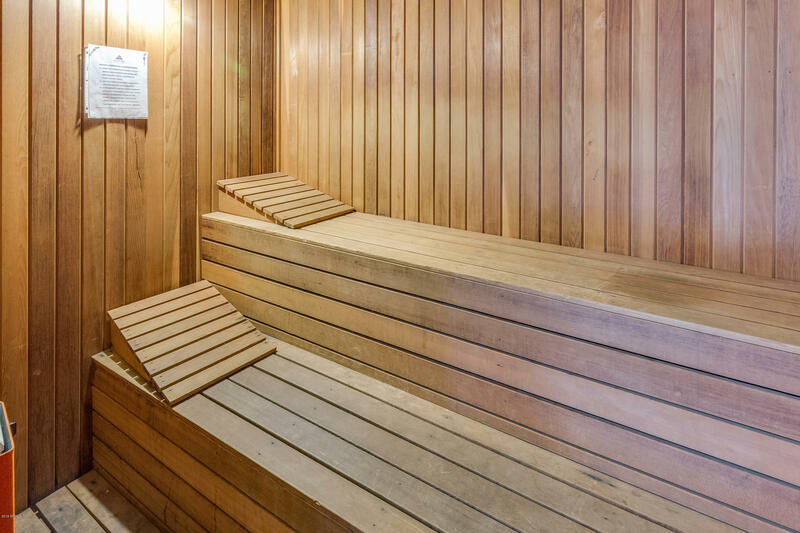 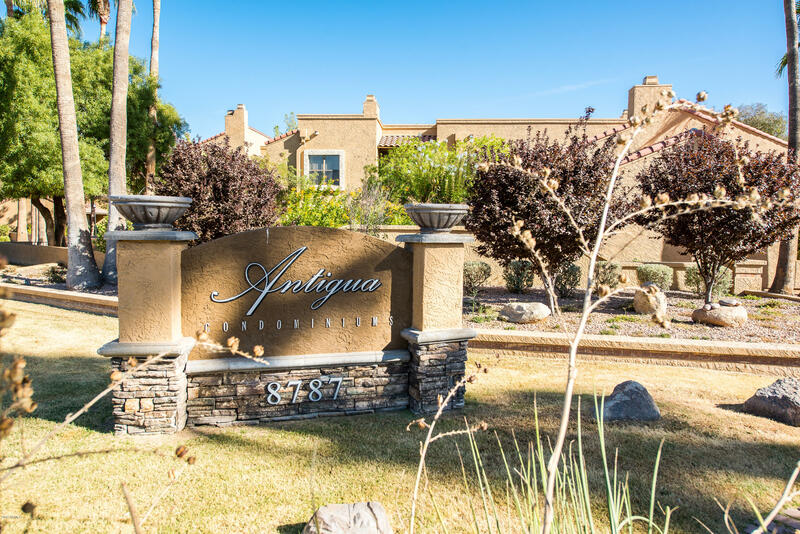 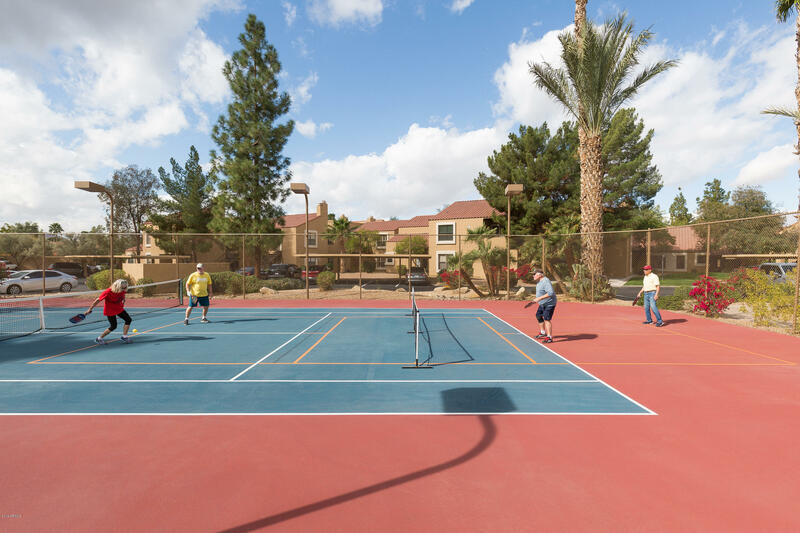 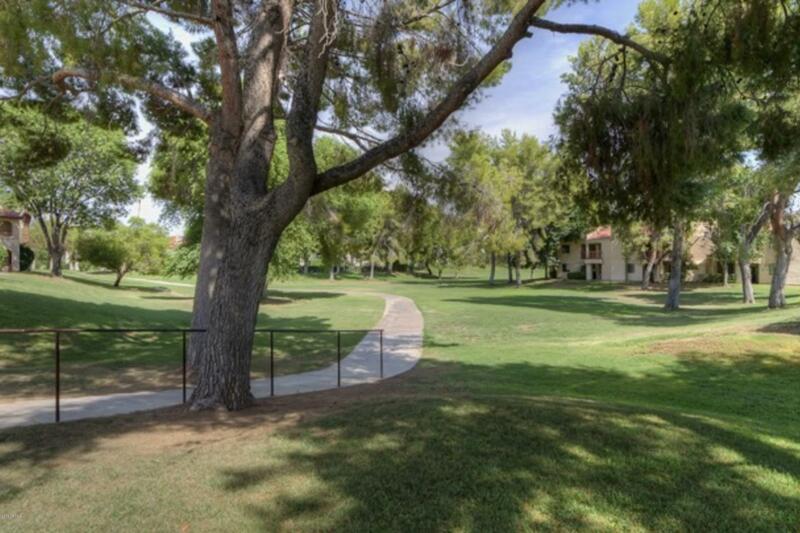 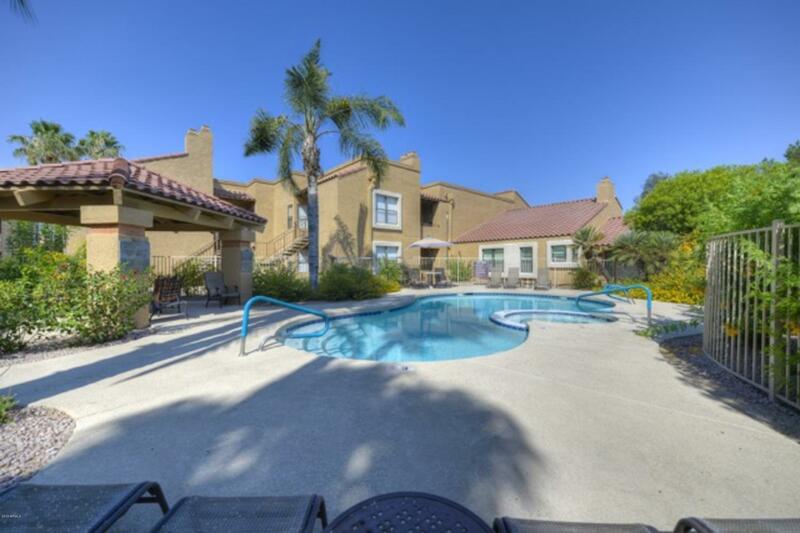 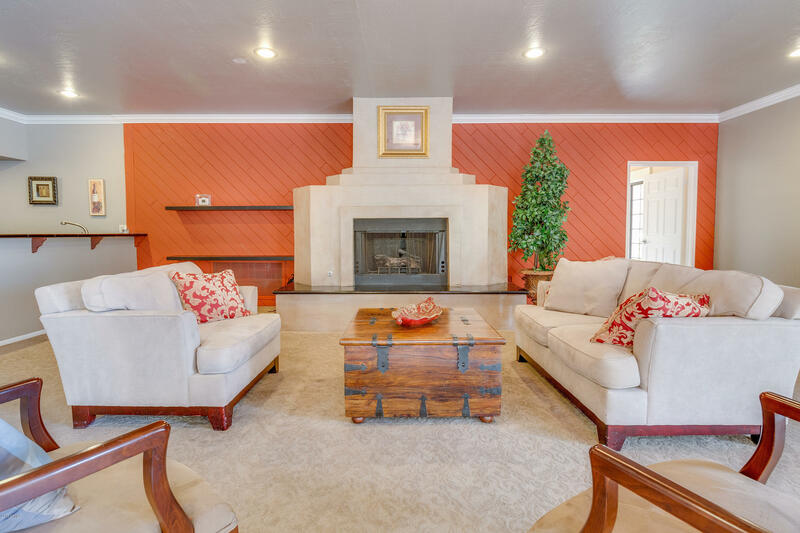 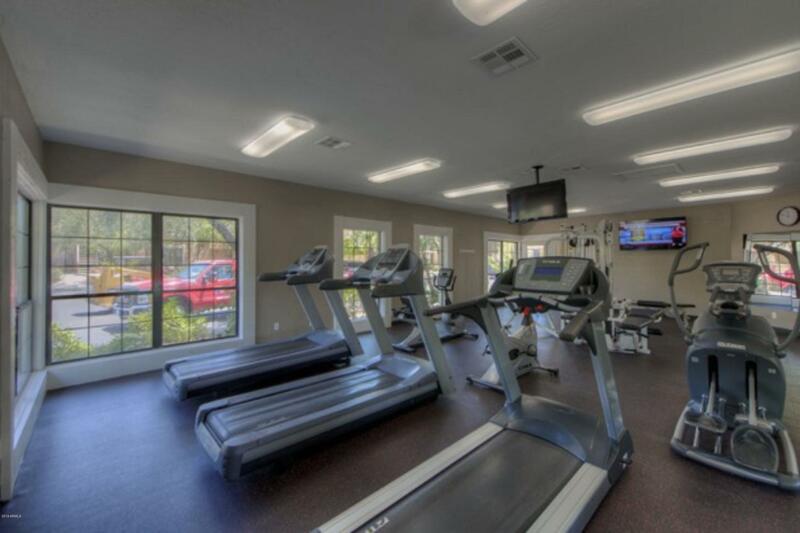 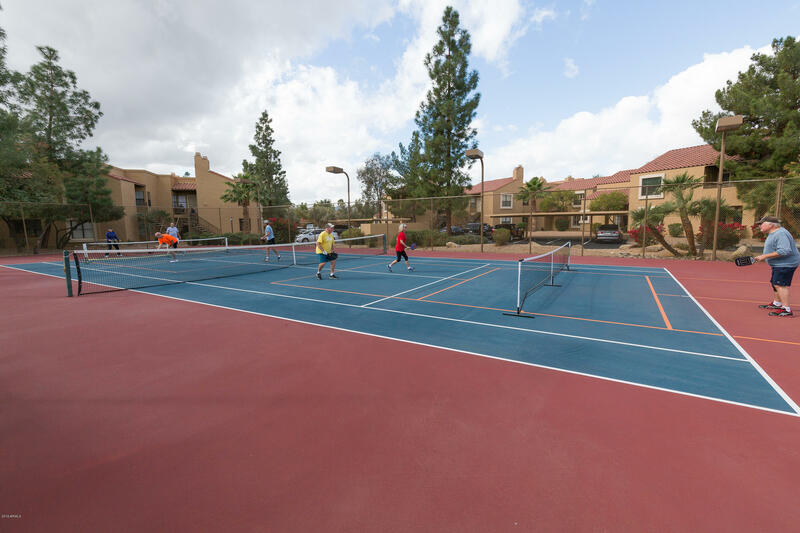 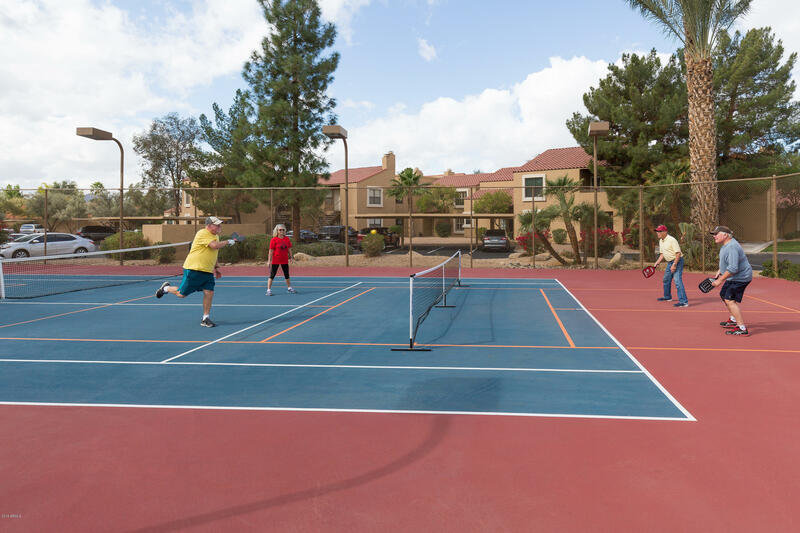 Rancho Antigua has 3 pools, 3 spas, tennis court, 2 pickle ball courts, fitness center, sauna, clubhouse, BBQ area...and it sides the McCormick Ranch greenbelt for easy access to trails.